Graham-Cassidy, the GOP’s latest effort to destroy Obamacare, looked pretty dead on Friday after Senator John McCain came out against the bill. 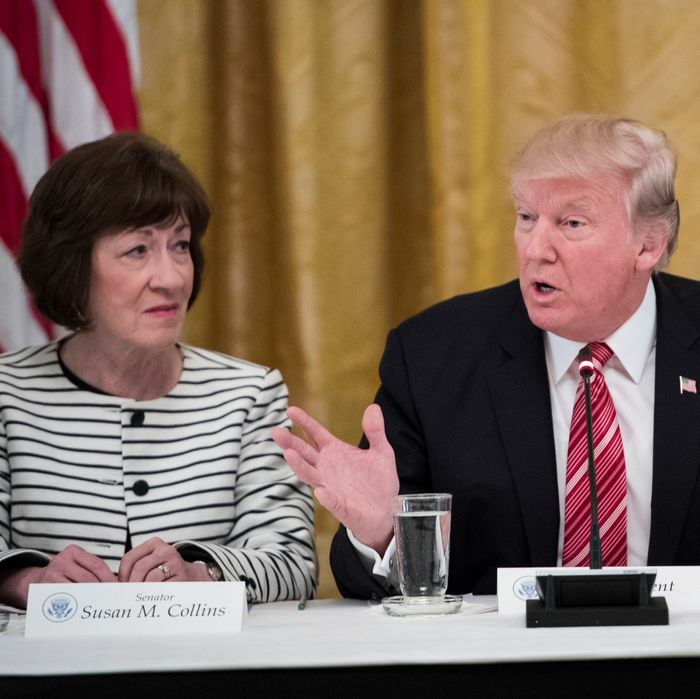 Then over the weekend Senator Susan Collins hammered another nail in the coffin when she said it’s “very difficult to envision a scenario” in which she’d vote for it. Even Senator Ted Cruz said he wasn’t onboard, and President Trump distanced himself from the repeal effort, saying he’s always been more focused on taxes anyway. But on Sunday night, senators Lindsey Graham and Bill Cassidy revealed that they’d spent the weekend tinkering with their unholy creation, in the hope that they can get it to lurch across the September 30 finish line. Alaska, Arizona, Maine and Kentucky are big winners in the Healthcare proposal. 7 years of Repeal & Replace and some Senators not there. The revised bill makes it even more obvious that Republicans are trying to sweeten the deal for particular lawmakers rather than attempting to craft a better bill. The core of Graham-Cassidy is still the same: It converts federal spending on Medicaid and insurance subsidies to block grants for the states. But according to a summary circulated by Republicans, key states that would have seen their federal dollars decline under Graham-Cassidy compared to the current law, will now see increases between 2020 and 2026: Alaska (3 percent), Arizona (14 percent), Kentucky (4 percent), and Maine (43 percent). Another part of the revised bill would give one-fourth of a $6 billion contingency fund to states with the lowest-density population — Alaska among them. And while we’re at it, shouldn’t Louisianans get a little something for being forced to watch Jimmy Kimmel attack their senator all last week? Separately, the law provides $750 million for states that expanded Medicaid after Dec. 31, 2015. That language means additional financial assistance for Montana and Cassidy’s home state of Louisiana. Aside from the distribution of federal funds, the new bill actually makes the other objectionable aspects of Graham-Cassidy even worse. In what may be an attempt to woo conservatives Ted Cruz and Mike Lee, the bill now allows multiple risk pools, which means healthy people could be put in a pool with lower premiums while sick people are stuck in a pool with higher premiums. In the previous version, states could submit waivers to do away with certain Obamacare regulations, but now they can just set their own standards. For example, states could allow insurers to charge people with preexisting conditions far more, approve the sale of skimpy plans that don’t cover all the “essential health benefits,” and set their own limits on out-of-pocket costs. States have to tell the federal government how they “shall” protect people with preexisting conditions, but there’s nothing really holding them to it. Cassidy will say that inserting "shall" here means pre-ex are protected under GC 2.0. Health-policy experts are still struggling to make sense of this hodgepodge of different senators’ health-care demands, and it’s hard to see how it brings any of the lawmakers closer to “yes.” Collins hasn’t officially said she’s a “no,” but the Post reported that Republicans are “once again privately pessimistic the changes would convince her to vote yes.” McCain has been calling for a return to “regular order” and releasing a new bill six days before the voting deadline accomplishes the opposite. The Congressional Budget Office already said it would only be able to provide a “preliminary assessment” before the vote, and now they’re working on an outdated bill. So the new Graham-Cassidy probably isn’t going anywhere, but as Trump predicted, “Eventually we’ll win, whether it’s now or later.” Trump hasn’t even been in office for a year, and Republicans have shown an astounding drive to pass legislation that only right-wing billionaires want. Imagine what our health-care system would look like if Republican senators were half as determined to fix it as they are to destroy it.